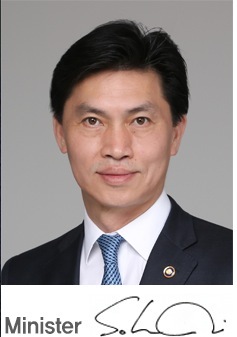 Here is the significant breakthrough in this big Korean consumer protection news: The revision makes it possible for consumers to seek compensation for medical treatment costs due to adverse side effects from using medical products, starting in January. Victims of medical side effects are currently eligible to demand compensation for damages, disability and funeral costs. 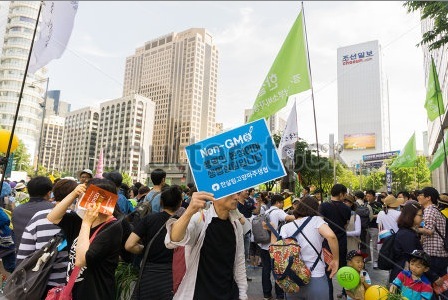 Both South Korean consumer groups and politicians have been for quite some time calling for mandatory GMO labeling, which, starting in February, will be the enforced law. Because the article that this article is about was in Korean in the original, I will post the translation with a brief comment of my own. In view of the fact that the Trump FDA Commissioner will be even more manipulated by corporate interests than prior administrations, not much at all is going to get done over the next four years in the realm of protecting consumers. I say that because of the demonstrated record thus far of appointing 4 climate change deniers to Cabinet positions. I am all for giving a new regime a chance to prove themselves, but in this department, that of the FDA, I hold out no hope at all. The mainstream media and the alternative media in the USA are difficult to submit articles that educate consumers, so I have entirely shifted all of my efforts to other nations. The most significant involves my presenting my initial evidence to the Health Minister of India requesting him to ban Aspartame. India has done this sort of thing before, most notably about 40 years ago when the Health Minister, Dr. Sripati Chandrasekhar, issued an order that banned both Coca Cola and Pepsi Cola for seven years. He told me in person that he did this entirely by edict, without parliament, for reasons of protecting the health of Indians; that it last only seven years until he left office to come to the United States to teach at five different universities, and that the companies simply bribed there way back into the market, and that in his opinion, it was no more than a strong statement against American corporations, because what the Indian corporations replaced Coca Cola and Pepsi Cola with was in fact worse than the usual mixture of food coloring, phosphoric acid, loads of sugar, and many secret ingredients that aren't even patented, what the rest of the world drinks when it consumes Coca Cola or Pepsi Cola. I made this request partially in memory of my friend, Dr. Chandrasekhar, with his 40 honorary degrees and his life of brilliant public service. He was trained as an Economist and his Ph.D. was from Columbia University, where he later was a professor. I chose India for two other reasons: 1) it is the world's largest democracy 2) many Indians speak and read English, 3) a great deal of competent journalism has already been read in the very aggressive news media there, which doesn't hesitate to expose the truth like so many in the United States, and 4) because with 1.25 billion people, India has always been sensitive to the genocidal issues involving junk food and toxic food additives. I have been very busy with this effort, as there are a great many newspapers in India and in the rest of the world, which, unlike America, really does care about these matters. Food products that contain even the slightest amount of genetically modified organisms will carry a GMO label starting in February as the Ministry of Food and Drug Safety on Wednesday unveiled revisions to a range of food, bio and medical regulations. Food manufacturers are currently supposed to show a product carries GMO on the label only if it is one of top five ingredients. 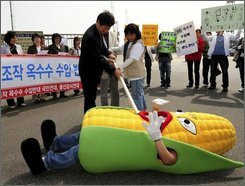 The revision will make it mandatory for the producers to indicate if the product contains genetically-modified DNA and protein, which the ministry explains is aimed at "beefing up consumers' right to know." Under the revision, manufacturers of any foodstuff with glacial acetic acid will be forced to implement a child protection package design so that children 5 or younger will have difficulty opening it, starting in January. To encourage consumers to consume less sodium, the government will require manufacturers to list content of sodium in similar products on packages of instant foods such as noodles, hamburgers and sandwiches starting in May. In the medical sector, cosmetics products 10 milliliters (0.3 fluid ounces) or smaller, including samples, will have to indicate on the label the date of production or a maximum period of usage after opening - a new rule that will be enforced in February. Currently, small and sample cosmetics goods only need to display the name, manufacturer and price. To help the booming cosmetics sector continue its growth through specialization and to reflect the latest trends in the market, the ministry will expand the types of the so-called functional cosmetics from the current three - whitening, wrinkle reduction and sunscreen - to 10.
dermatitis, prevention of dryness in acne-prone skin and improvement of damaged skin, including stretch marks. The revision will also make it possible for consumers to seek compensation for medical treatment costs due to adverse side effects from using medical products, starting in January. Victims of medical side effects are currently eligible to demand compensation for for damages, disability and funeral costs.damages, disability and funeral costs. Thank you for visiting our website and for your interest in the Ministry of Food and Drug Safety(MFDS). Under our vision of "Safe Food and Drug, Healthy People, Well-being Society", we're making every effort to protect and promote the public health through thorough safety control for food, pharmaceuticals, cosmetics, herbal medicines and medical devices that we face everyday. The safety control of food and drug is becoming more important and the scope of the control is expanding. As more and more people are seeking health-conscious lifestyle, promoting health with safe food and medical products becomes more crucial. Everyone at the MFDS is fully committed to safeguarding people's health and safety like his own family's and building a safer and more reliable food and drug use environment. I hope you get useful information from this website and share your thoughts with us.